In 1990, a monitoring programme was initiated to survey the status of benthic invertebrate communities and fish populations over a wide range of subarctic rivers in northernmost Finnish Lapland (68°15′–70°N). 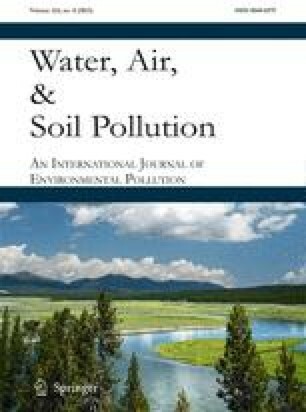 A special emphasis was placed on detecting possible effects of acidification through sulfur emissions from Russian Kola Peninsula. Sampling in 13 rivers within four major river systems covered watercourses from small brooks to large 7th order rivers, and watersheds with different distances from the emission sources. The community structure of zoobenthos and the occurrence of acid-sensitive indicator species were assessed in 90 sampling sites. Sensitive fluvial fish species, including Atlantic salmon (Salmo salar), brown trout (Salmo trutta), European minnow (Phoxinus phoxinus) and burbot (Lota lota), were monitored by studying their occurrence, abundance and juvenile recruitment. No signs of acid-induced failure in juvenile recruitment were detected in salmonid populations. The occurrence of minnow and burbot covered all the systems studied. In parallell, the structure of benthic communities with relatively high species diversity and wide distribution of a highly acid-sensitive caddisfly indicated no effects of acidification.